I am a plant ecologist which uses different approaches to disentangle how biotic and abiotic factors influence spatio-temporal plant species patterns. My research topic focuses on plant species response to environmental and climate factors at the individual, population and community level. 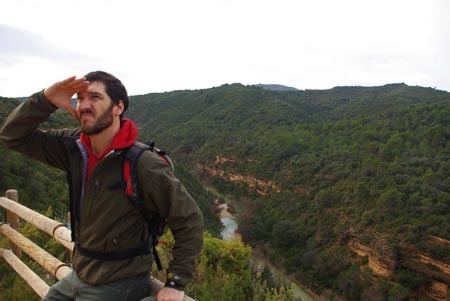 Currently, I am postdoctoral researcher (MINECO - postdoctoral junior grant) at the Pyrenean Institute of Ecology (IPE-CSIC). Organismo Autónomo de Parques Nacionales (Ministerio de Medio Ambiente y Medio Rural y Marino). Investigador responsable: Dr. J. Julio Camarero (Instituto Pirenaico de Ecología, CSIC). ≈ Climate change driven treeline advances in the Urals and their impact on ecosystem functions (TreeClimb). ERA.Net RUS Pilot Joint Call for Collaborative S&T Projects, European Union. ≈ Aspects of biodiversity in plants: links to large- and small-scale processes (Project SF0180095s08).